People and Animals Linking Successfully! 4-H PetPALS is a program of Ohio State University Extension, 4-H Youth Development. 4-H PetPALS is a leader-directed, experientially based, intergenerational program linking young people and their pets with senior adults. The program utilizes the natural bond between youth and animals to promote positive youth development. Youth gain a greater appreciation for their pets, and experience compassion and caring for senior citizens through the 4-H PetPALS program. 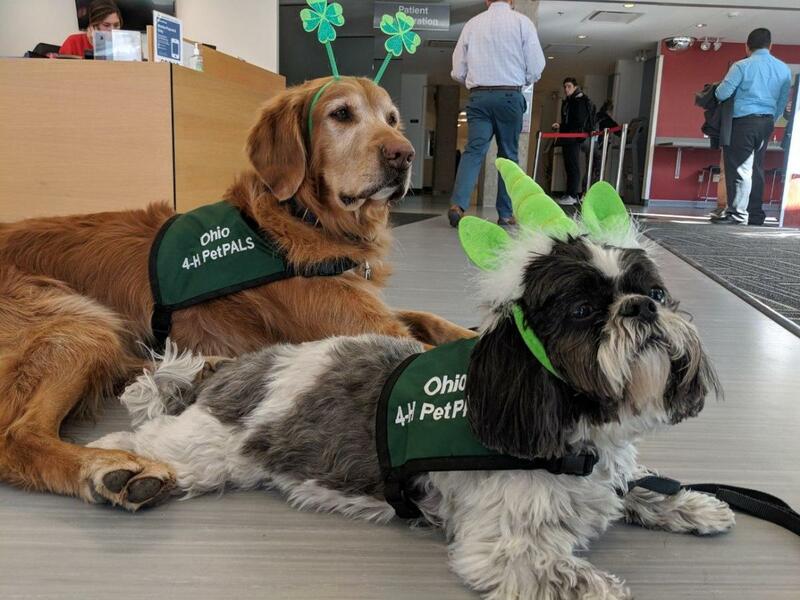 The 2019 State Master 4-H PetPALS Volunteer Leader Training was held Saturday, March 16, at the Nationwide & Ohio Farm Bureau 4-H Center, Columbus. We provide visual aids to leaders and youth, as a supplement to our curriculum. Our curriculum provides very well written step-by-step descriptions for animal behavior and communicaion, and well written step-by-step instructions for testing pets. Additional photographs and videos are provided online in greater depth.